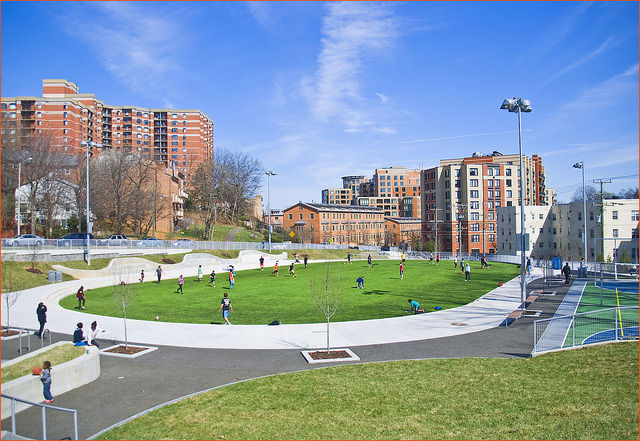 Known for award winning public schools, ease of commuting into DC and access to beautiful parks and recreational facilities, Arlington boasts an extremely high quality of life. Areas like Ballston and Clarendon attract young professionals, families, and retirees alike for their walkability and access to metro. Older neighborhoods like Cherrydale give a throw back feel to a time when close knit neighborhoods where the norm. It seems like there is a farmers market in every park during the warmer months in Arlington. Access to National airport and the Pentagon is a breeze from all parts of Arlington.